I love the 90's. Probably because much of my childhood was during that unique time. It makes me smile (and cringe a bit) to see many of the styles of my childhood making a comeback. Like the scrunchie. I mean, they were never dead, but to rise back into trending fashion. Way to go scrunchie!! And since I've got a daughter, I had to put together this cute scrunchies pattern. 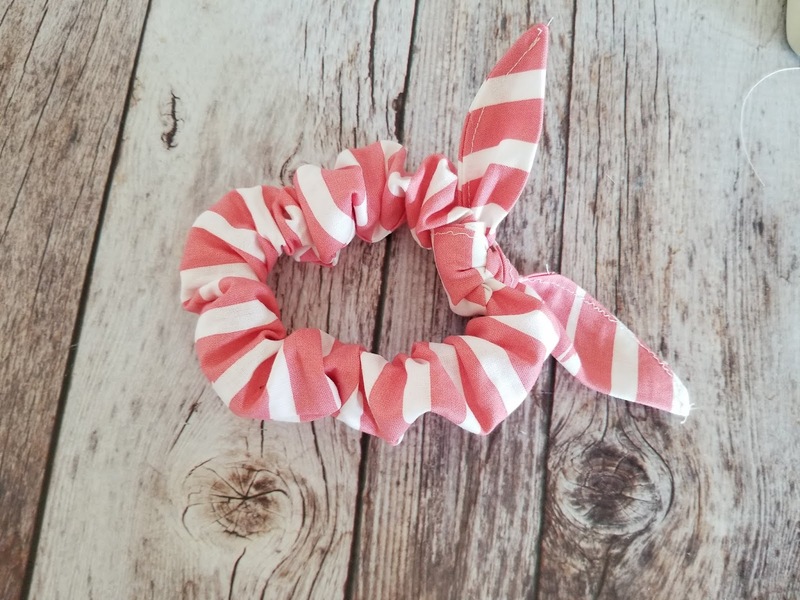 I wanted this scrunchies pattern to be a little more feminine, so I made sure to add this cute bow. It really adds a lot to the design and makes it really pretty. However, the entire pattern will work without the bow as well. 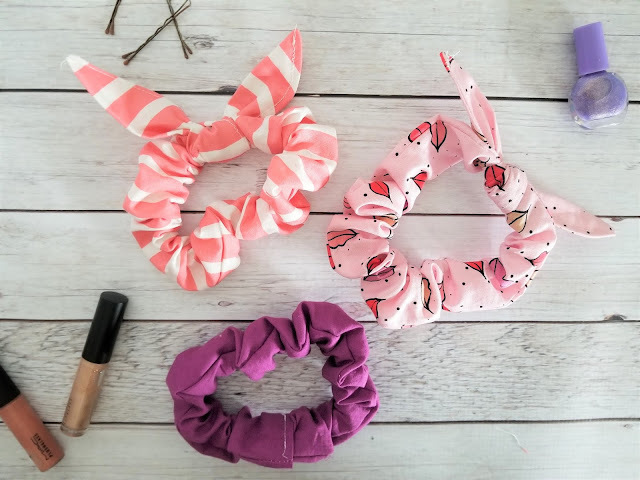 Now, not all scrunchies are created equally. I remember loads of scrunchies not having enough stretch for my mountains of hair. And since both my daughter and I have long hair, I wanted to make sure our scrunchies had enough stretch to wrap several times around our hair. So if you don't like stretch, just shorten the elastic. I also was really happy when I realized I still had some of the Kiss Me Kate fabric leftover from another project. 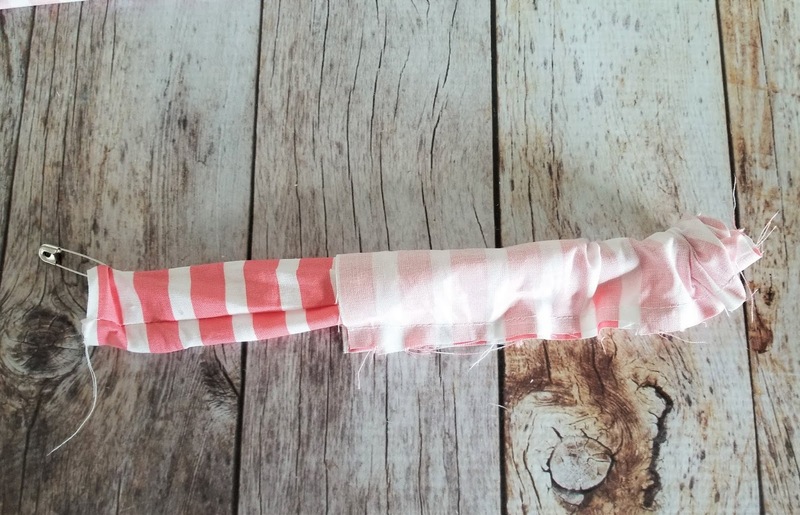 It is the perfect fabric for this pattern. You really don't need a lot of fabric. 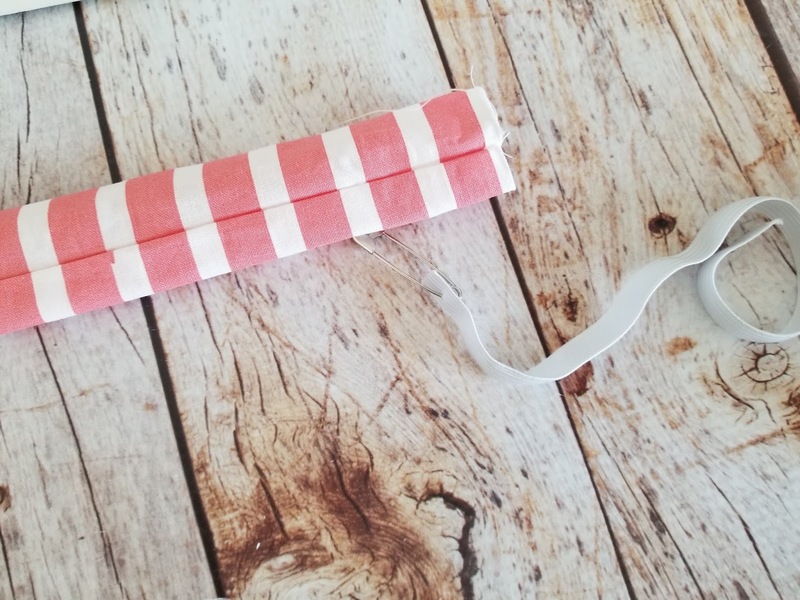 This is a great scrap buster project. 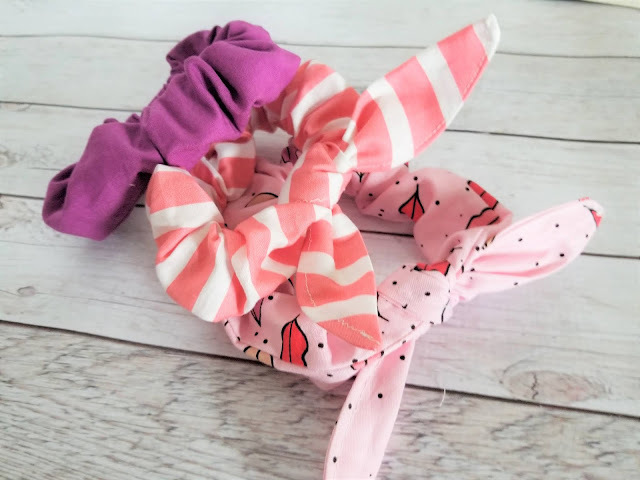 Check out our video on how to sew up the scrunchies pattern at the top of the page. Make sure to have your add blockers off or you won't be able to see it. 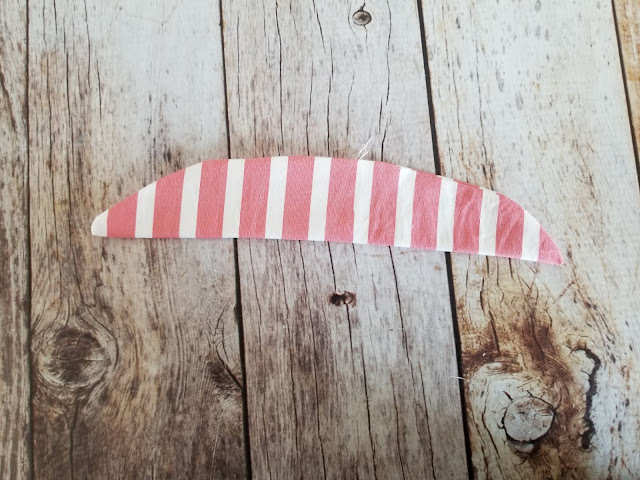 Cut out pattern pieces for bow scrunchies pattern. You can choose between the girls size or the teen and adult size. With Right Sides Together (RST), fold the pattern pieces in half lengthwise and match the raw edges. Stitch across the entire length of the scrunchie pattern. Stitch from the corner of the bow pattern piece to the center. Repeat with the opposite corner. Leave an opening in the middle of the bow piece. 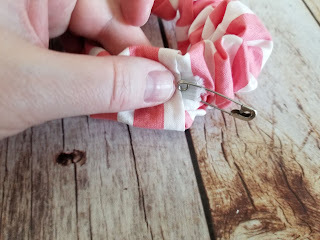 Turn the scrunchie piece right side out using a safety pin or a bodkin tool. Press. 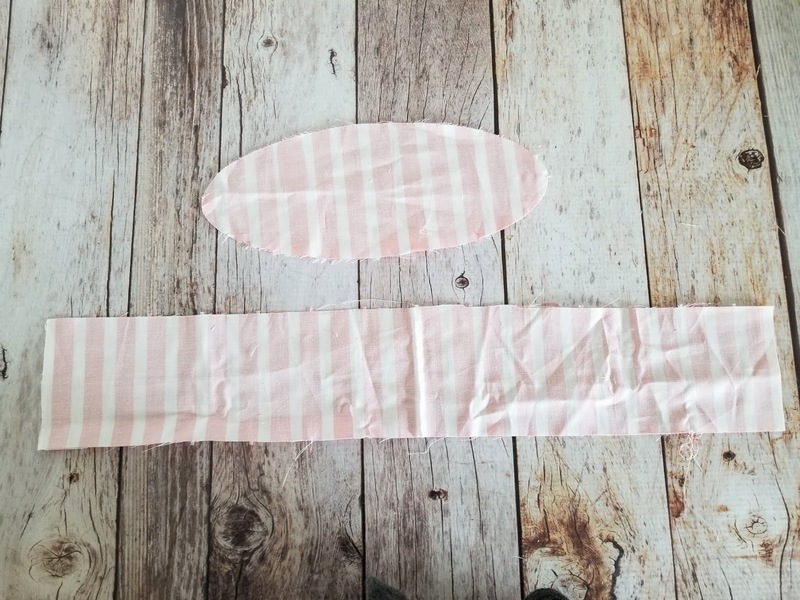 Cut a 10" piece of elastic for the girl size or a 11" piece of elastic for the adult size. Thread the elastic through the scrunchie from one end to the other. 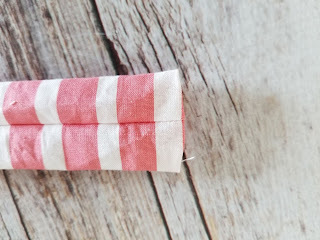 Overlap the ends of the elastic and stitch them together. Turn one of the raw edges of the scrunchie under 1/2". Tuck the opposite end of the scrunchie into the turned end. 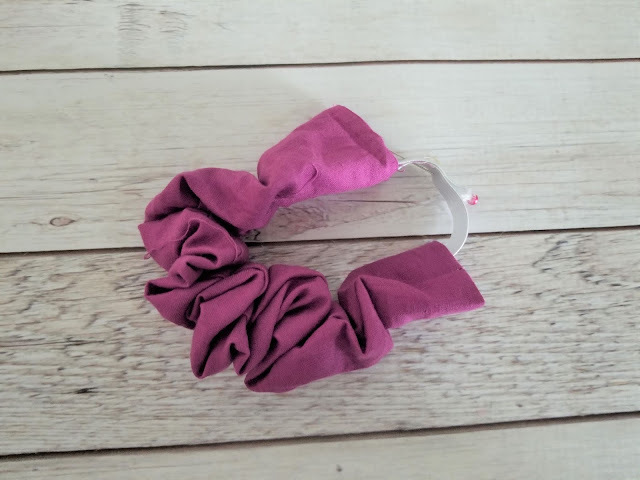 Stitch across the scrunchie to close the ends or hand stitch the scrunchie closed. Turn the bow piece right side out and press. Topstitch around the edges of the bow. Tie the bow around the scrunchie in a square knot. 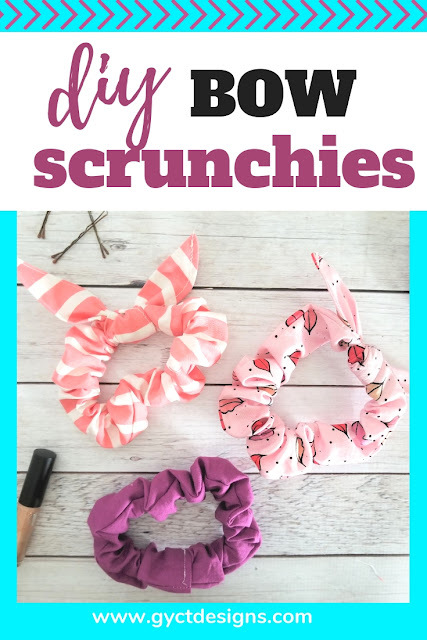 You've just sewn up a bow scrunchies pattern. 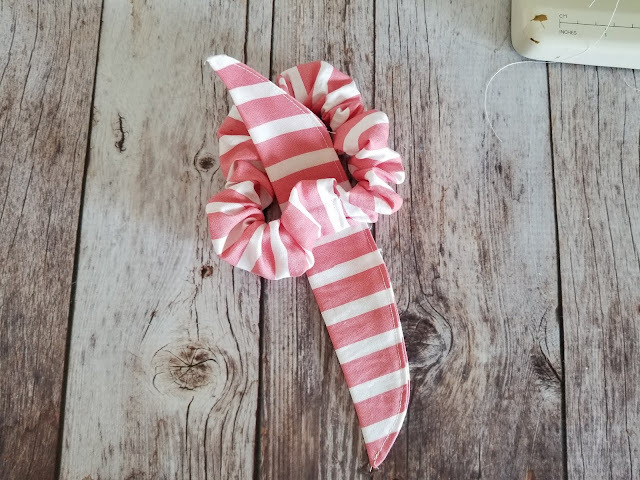 See how quick and easy this scrunchies pattern is. Now you can sew up the entire cheer squad or volleyball team their own matching scrunchies. Or just make a bunch for yourself to use in your hair while you sleep. Whatever you do with them, make sure share them in our GYCT Community Facebook group.